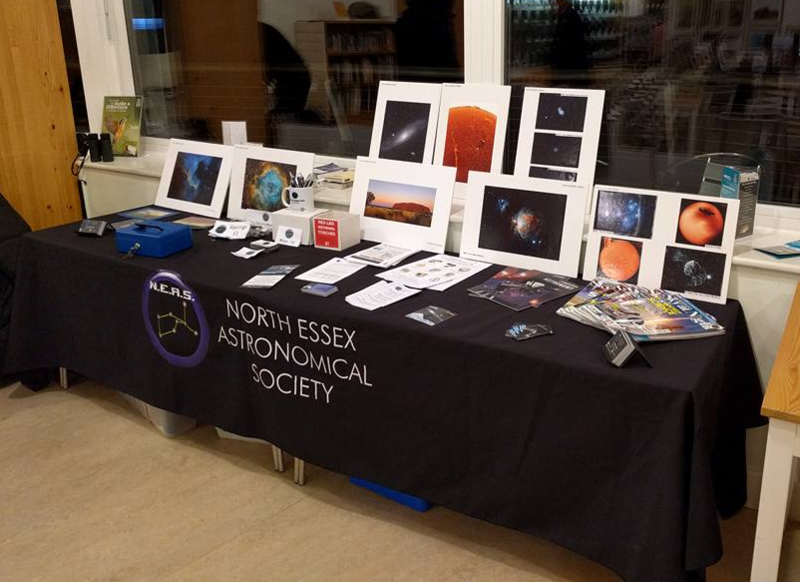 We are proud to work in partnership The Essex Wildlife Trust and co-host Star Gazing evenings, StarDome Planetarium evenings and Solar Gazing afternoons at their Abberton Reservoir Visitor Centre. During star gazing evenings, our volunteers will give indoor talks throughout the evening on a variety of topics. We will also have telescopes set up for you to observe the Moon, any visible planets and other objects of interest in the night sky. We can teach you about the constellations and how to recognise them. 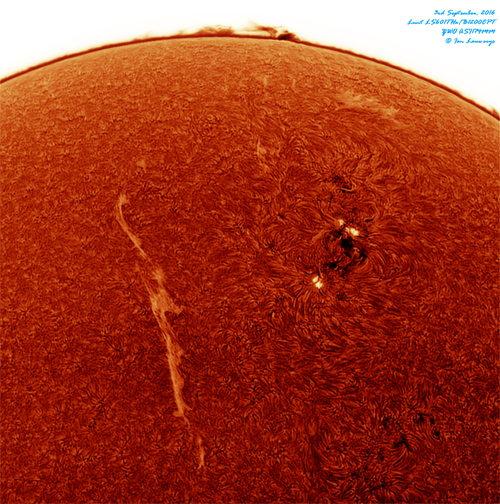 We can also answer any questions you may have about astronomy or telescopes. 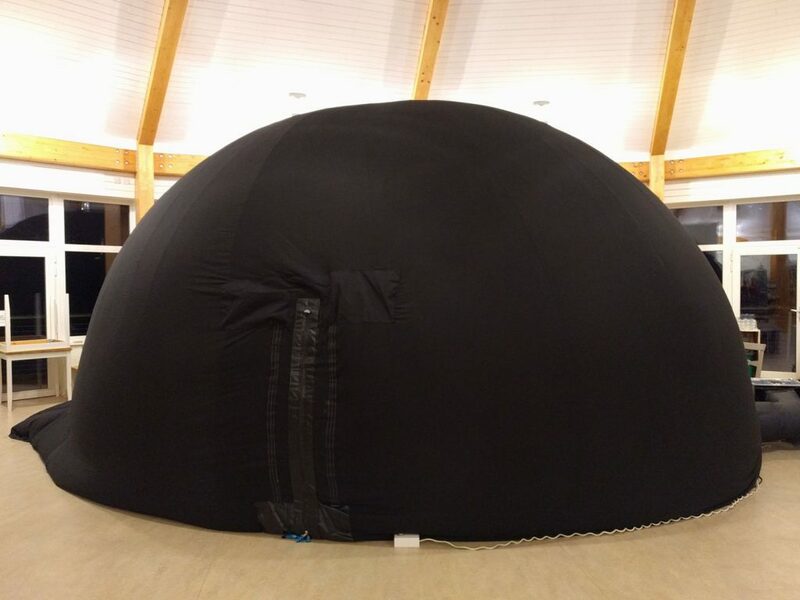 StarDome planetarium evenings take a slightly different format, with a large indoor planetarium set up in the visitor centre for a fun and informative show whatever the weather. There will also be an astronomy-related talk immediately after the show, followed by star gazing through our telescopes. We also have displays of photos and models from society members at most evening events. Solar gazing afternoons are more informal. 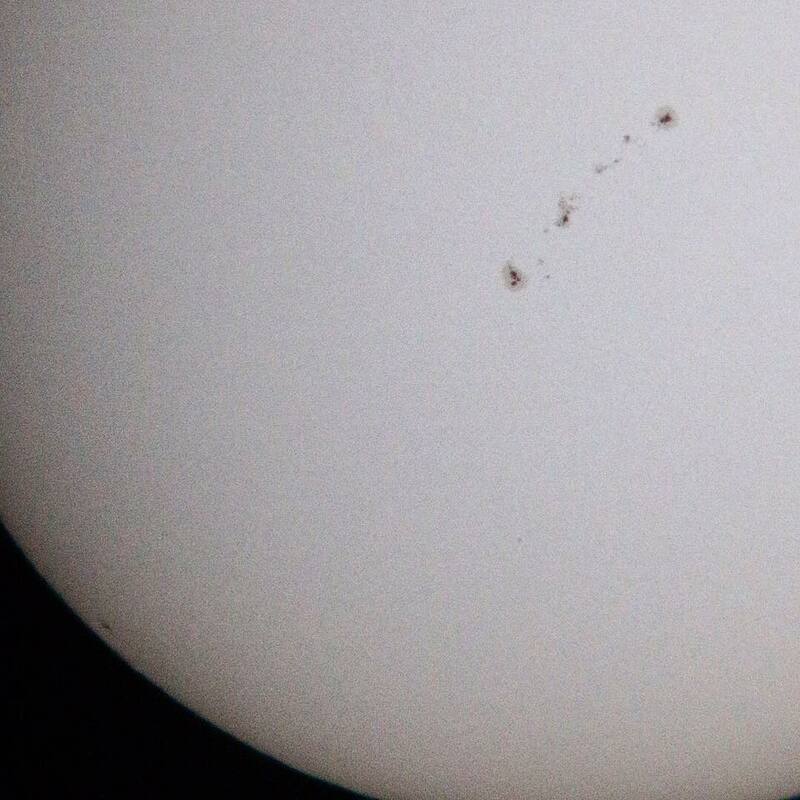 We will set up our special solar telescopes for you to observe the Sun in complete safety. We can guarantee you won’t have seen anything like it before. Star gazing: Typically from 6:30pm to 9:30pm but please check when booking as early autumn and late spring events often start and finish an hour later due to the later sunset times. Please do not arrive earlier than the scheduled start time as we will be setting up our equipment. 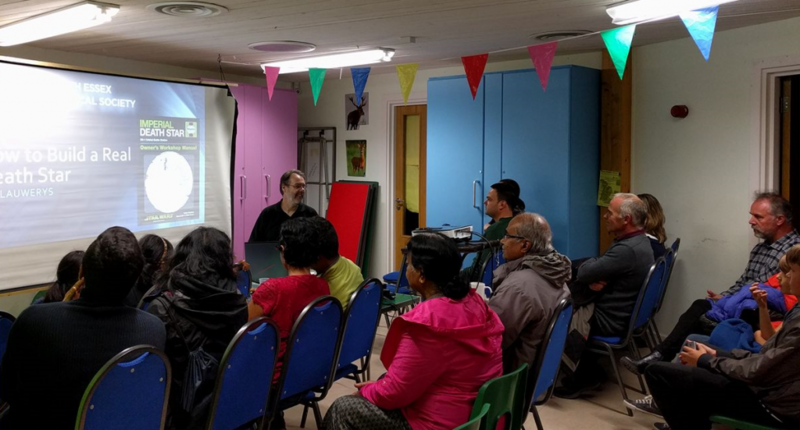 StarDome planetarium: You will be allocated one of three specific sessions at the time of booking. Please do not arrive early as the centre needs to be quiet whilst the show is in progress. 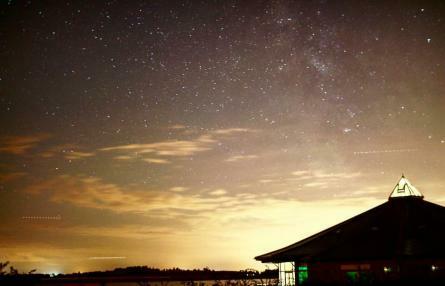 Star gazing and StarDome events will go ahead whatever the weather. If it is cloudy or partially clear we will still be available to answer questions, but telescope viewing may be limited. We are ever hopeful of a break in the clouds and will remain on site until the scheduled end-time of the event. In the event of rain or extensive cloud, solar gazing sessions may be cancelled. Please follow our Facebook and Twitter feeds for information as to whether the event will go ahead, or call Essex Wildlife Trust on 01206 738172. We aim to post updates on the day around mid-morning. 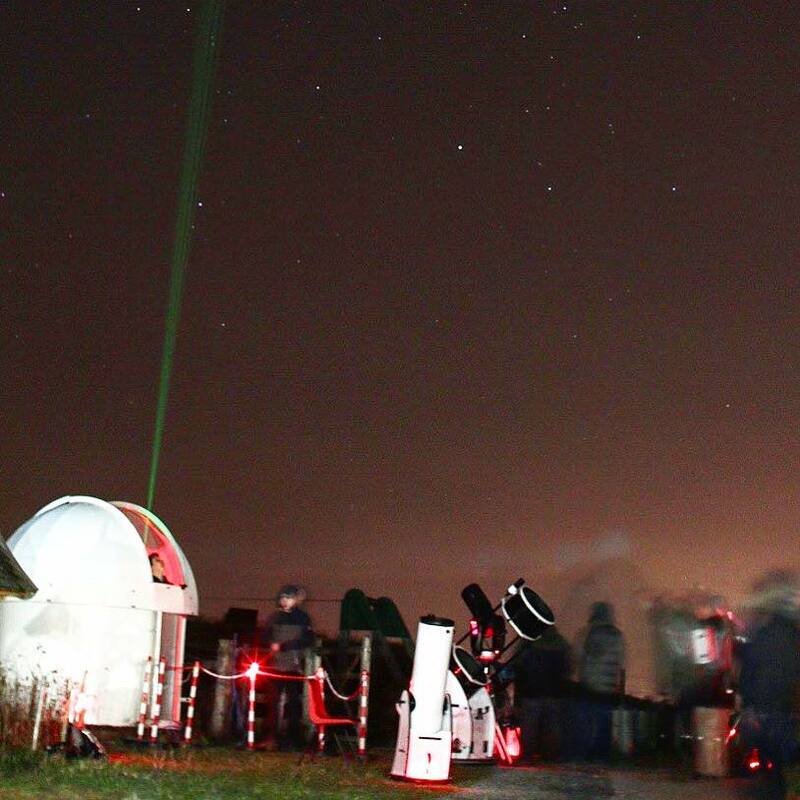 Booking in advance is essential for the star gazing and StarDome planetarium events. Details of the requested donation to Essex Wildlife Trust and booking information can be found on their Events Page. 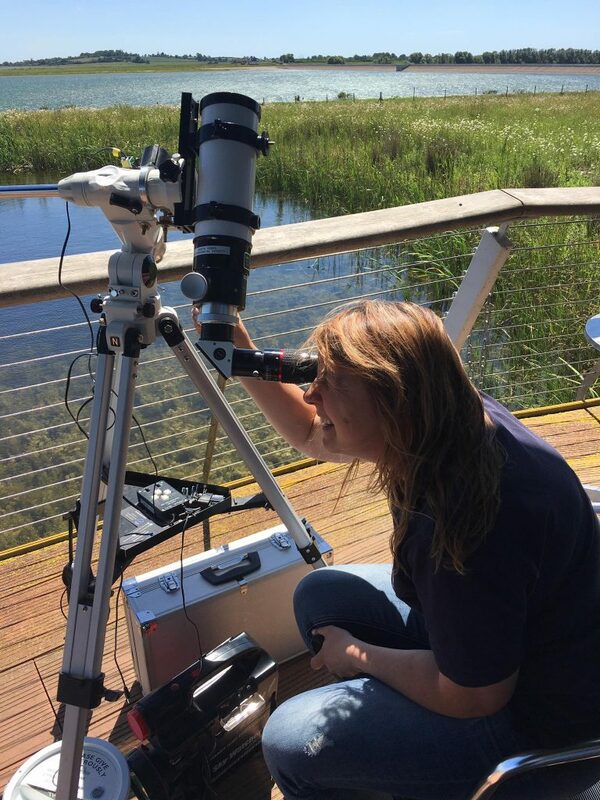 Solar gazing events are free, but the normal donation for admission to the reserve and visitor centre will be requested by Essex Wildlife Trust. There is no need to book in advance, just turn up on the day. The visitor centre is fully accessible. We try our best to enable everyone to look through our telescopes. If you have mobility issues that make it difficult or impossible to stand, it may not be possible for you to reach the eyepiece. We have a video-astronomy unit that allows live-viewing on a small screen, but it is essential that you let us know in advance so that we can bring it along. Our volunteers may use safe laser pointers to show you things in the sky, but members of the public are not permitted to use their own pointers at our events. If you are seen using a laser pointer, you will be asked to return it to your vehicle or leave the event. Hot bacon rolls and refreshments will be available for purchase at star gazing events, so why not come and have some tea with us? Light refreshments (but no hot food) will be available to purchase at StarDome planetarium events between show times. A range of hot and cold food and refreshments is available during solar gazing events. Please see the Essex Wildlife Trust web site for more information. All events take place at Essex Wildlife Trust Abberton Reservoir Visitor Centre. Ample free parking is available in front of the centre. For more information about the visitor centre and how to get there, click here. A Google Maps link is here. The visitor centre is well signposted. For satnav purposes, the visitor centre’s postcode is CO2 0EU. This postcode will take you to “The Rows” outside the village of Layer-de-la-Haye. The visitor centre is well signposted off the B1026 Wigborough Road, just after the turning for The Rows and adjacent to the reservoir causeway.